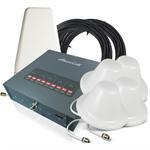 The SureCall Fusion4Home is an all-carrier cell phone signal booster designed for home and small office use. 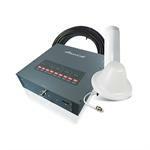 These boosters produce enhanced voice, text and 4G LTE data signal where signal is weak. 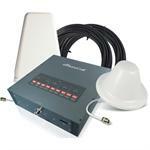 SureCalls EZ Call is a revolutionary plug and play cell phone signal booster that does not require an outdoor antenna. 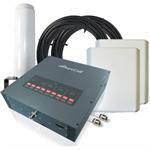 SureCall adjustable cellular boosters and kits from wpsantennas.com remove the frustration over dropped calls, limited range, and slow data rates by amplifying incoming and outgoing cellular signals in vehicles. 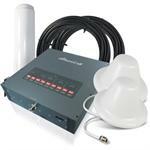 72dB five-band manually adjustable booster kit for areas up to 6,000 sq. ft. 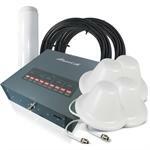 Kit includes 30 ft and 75 ft of SureCall 400 low loss coax cable, outdoor omni antenna, and indoor dome antenna. 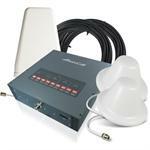 72dB five-band manually adjustable booster kit for areas up to 6,000 sq. ft. 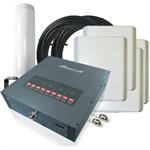 Kit includes 30 ft and 75 ft of SureCall 400 low loss coax cable, outdoor omni antenna, and indoor panel antenna. 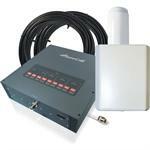 72dB five-band manually adjustable booster kit for areas up to 6,000 sq. ft. 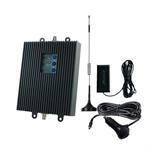 Kit includes 30 ft and 75 ft of SureCall 400 low loss coax cable, outdoor yagi antenna, and indoor dome antenna. 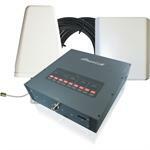 Fusion5X 2.0 is the industry’s most powerful cellular signal booster in its class. Fusion5X 2.0 is the chosen solution for mid- to large-size applications that need access to reliable voice, text, and data signals. NEW! High gain up to 72dB!. True Multi-carrier repeater unit. 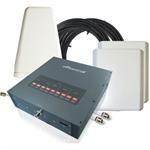 Industrial grade with individual uplink and downlink attenuation. 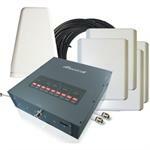 Use an omni or yagi donor antenna and dome or panel interior antenna. 3 Year Warranty.